A debut novel already praised as "unbearably poignant and beautifully told" (Eimear McBride) this captivating story follows - over the course of four seasons - a misfit man who adopts a misfit dog. It is springtime, and two outcasts  a man ignored, even shunned by his village, and the one-eyed dog he takes into his quiet, tightly shuttered life  find each other, by accident or fate, and forge an unlikely connection. As their friendship grows, their small, seaside town suddenly takes note of them, falsely perceiving menace where there is only mishap; the unlikely duo must take to the road. Gorgeously written in poetic and mesmerizing prose, Spill Simmer Falter Wither has already garnered wild support in its native Ireland, where the Irish Times pointed to Baume's "astonishing power with language" and praised it as "a novel bursting with brio, braggadocio and bite." It is also a moving depiction of how  over the four seasons echoed in the title  a relationship between fellow damaged creatures can bring them both comfort. One of those rare stories that utterly, completely imagines its way into a life most of us would never see, it transforms us not only in our understanding of the world, but also of ourselves. He is running, running, running. And it's like no kind of running he's ever run before. He's the surge that burst the dam and he's pouring down the hillslope, channelling through the grass to the width of his widest part. He's tripping into hoof-rucks. He's slapping groundsel stems down dead. Dandelions and chickweed, nettles and dock. This time, there's no chance for sniff and scavenge and scoff. There are no steel bars to end his lap, no chain to jerk at the limit of its extension, no bellowing to trick and bully him back. This time, he's further than he's ever seen before, past every marker along the horizon line, every hump and spork he learned by heart. Despite its flaws, I found Spill Simmer Falter Wither both moving and unforgettable, and recommend it to readers who enjoy literary, quietly paced character studies that focus on the healing bond between humans and animals. (Reviewed by Sharry Wright). A deft and moving debut...To capture this constrained setting and quiet character requires specific skills, which Baume has in spades. Sara Baume is a novelist to watch. Ambitious and impressive ... Baume's engaging, intriguing and brightly original first novel may mark a comparably significant debut. 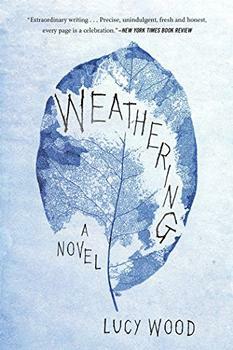 Extraordinary ... Spill Simmer Falter Wither is a heartbreaking read, and heralds Baume as a major new talent. Told in splendid prose, with lyrical descriptions of the landscape, it's an involving story and possibly the best first novel to emerge from Ireland since Eimear McBride's debut. [A] fine debut...Baume succeeds in reawakening her reader's capacity for wonder...so much so that the book and its one-eyed dog became companions I was loathe to leave. Baume perhaps means to make a statement about marginalized people who live unnoticed in the midst of their communities, but something doesn't quite ring true in Ray's isolation. Starred Review. This haunting debut novel by an award-winning Irish short story writer will appeal to readers who don't mind a little darkness in their dog stories. The detailed and almost poetic descriptions of the natural world as the seasons change add an element of enchantment to this lovely story. 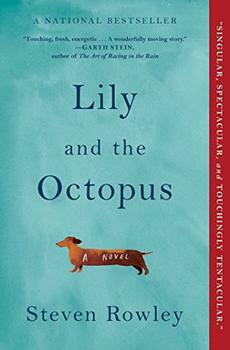 A deeply attuned portrait of the human mind…An unsettling literary surprise of the best sort. This first novel’s voice is singular in its humility and imaginative range…Baume’s novel revels in aesthetic leaps and dives, embracing the poetry of sensory experience in all its baffling beauty from the title onward…Baume’s prose makes sure we look and listen. Her book insists we take notice. Starred Review. Elegant, heartbreaking, and inspiring. . . The lyric, lilting style of Baume’s voice will endear even animal non-lovers to her thrilling and transformative story. With echoes of Mark Haddon’s narrative style and a healthy dose of empathy for the lost and lonely among us, Spill Simmer Falter Wither is a superlative first novel. A tour de force ... At its heart is a touching and inspiriting sense of empathy, that rarest but most human of traits. Boundaries melt, other hearts become knowable...This book is a stunning and wonderful achievement by a writer touched by greatness. One of the most quietly devastating books of the year…With Spill Simmer Falter Wither she has created a dark, tender portrait of what it’s like to live life on the margins. This book is like a flame in daylight: beautiful and unexpected. It packs a big effect for something that seems so slight, and almost hard to see. Unbearably poignant and beautifully told. In Spill Simmer Falter Wither, One Eye provides a lot of emotional support to Ray. Anyone who has owned a pet knows how much they can contribute to emotional well-being  studies at University of Missouri's College of Veterinary Medicine's Research Center for Human and Animal Interaction show that interacting with animals increases our level of the hormone oxytocin, making us happier and more trusting. So in a general sense, all our animal companions might be considered emotional support animals. But there are laws and rules that govern the claim that an animal is an official ESA with the legal rights that go with the designation.